PastPresented does exactly what the name suggests- presents the past. Among these books you'll find not just the results of recent historical research, but also photography, and new editions of some fascinating historic publications. 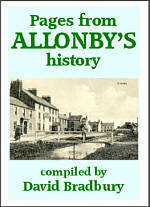 In addition to the books, we have made a huge amount of background information about the history of various places in Cumbria and elsewhere available online, free of charge.